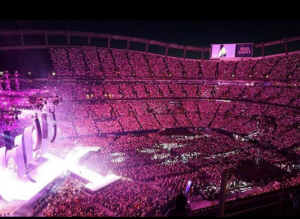 From the reviews we’ve seen lately the Taylor Swift Reputation tour is a great show — and last week in Denver it set a stadium record for Wi-Fi network use, with 8.1 terabytes used, according to the Denver Broncos’ IT team. Formerly known as Sports Authority Field at Mile High, the now-unsponsored stadium that is the home of the NFL’s Denver Broncos got a significant upgrade to its Wi-Fi network throughout last season, mainly via new APs installed in under-seat and handrail deployments. 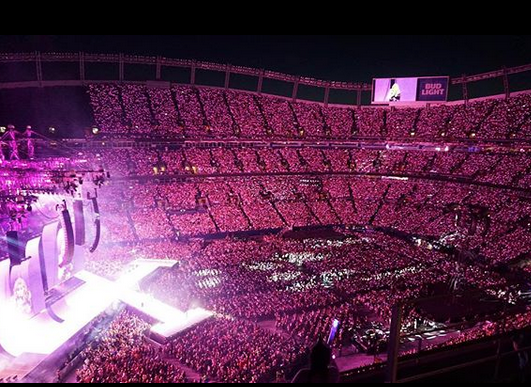 Even with the network now fully installed but not yet completely tuned or optimized, the stadium saw approximately 30,000 unique clients connected to Wi-Fi for the Swift show on May 25, out of about 50,000 total attendees. Some of the seats in the stadium were not used due to stage configuration. Russ Trainor, vice president for IT for the Broncos, said the 8.1 TB mark was the highest yet for Wi-Fi at the stadium, a mark that may be challenged this football season with more fans in the stands and perhaps a playoff season from the Broncos. Anyone else out there with Taylor Swift Wi-Fi numbers to share, let us know. Seattle? Levi’s Stadium? C’mon — it’s not too soon to share all that. And just FYI — the concert checks in at No. 5 on our unofficial all-time Wi-Fi list! Not bad!